The breakout villain of Black Panther, Erik Killmonger, is returning to the Marvel Universe with a brand new Marvel Comics limited series. Killmonger is written by Bryan Edward Hill (What If? X-Men) with art by Juan Ferreyra. The first issue goes on sale December 5th. "I wanted to explore the choices and the failures that lead a person to dedicate their life to revenge, and how that happens,” Hill tells Marvel.com. “Because with Erik, I feel like it’s really a tragedy. It’s a story of a guy who was failed a lot by Wakanda in certain ways, by the people he met outside of Wakanda, by his own conscience in other ways, and I wanted to paint a portrait of that. Because to me, the iconic fight between Erik Killmonger and T’Challa is tragic. It’s something that shouldn’t happen. It’s a conflict that’s borne from a tragic misunderstanding and a young man who was violently taken from his home." Hill also touched on the creative process he underwent to find Killmonger’s voice. "I can say that the events of the stories, for the most part, begin with Erik graduating from MIT,” he says. “Like all stories, it begins with him having a fork in the road in front of him. He’s a young man who could have a successful and peaceful life if he could just put away his desire for revenge. In this case, he’s really focused on [villain Ulysses] Klaw and the men that took him from Wakanda, and also punishing Wakanda itself for its failures. We begin the story with him making that choice to step away from one potential future and step into another that speaks to more of his darker nature. For me, that’s what a tragedy is, really. Something isn’t tragic unless you can see a way that it could have worked out better. ... It’s about a fall of a person that should have been something much better than what he wound up being, and the story is about how he winds up in that place." On Twitter, Hill offered up some further details. 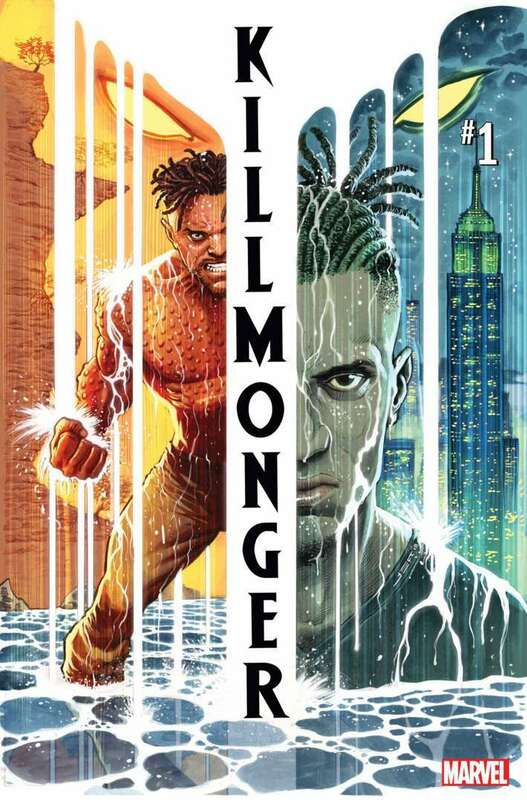 Are you excited about the new Killmonger series? Let us know what you think in the comments! Killmonger #1 goes on sale December 5th.